What is the max. weight and size for carry on luggage for a in Europe flight? 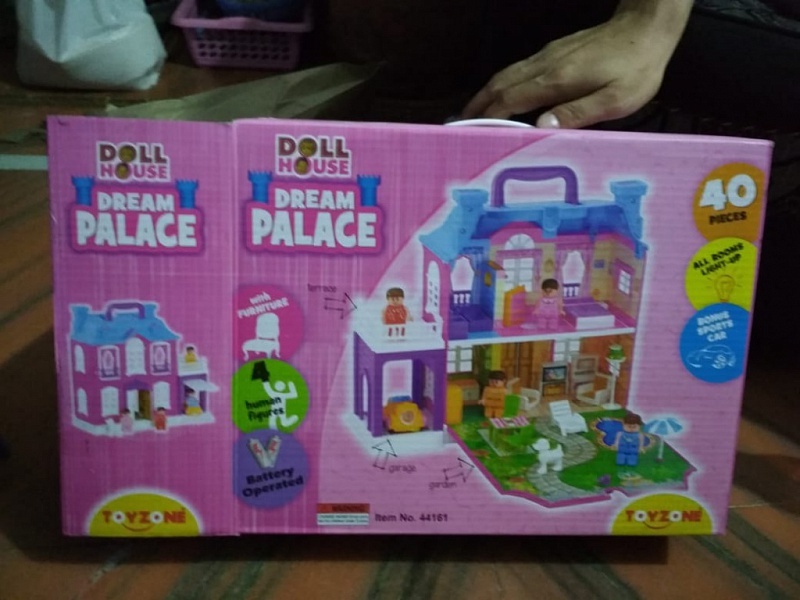 I forgot to pick my doll house(dream palace) item at Kolkata boarding security check post on 15 sept 2018. Boarding at around 1245. CISF team had contacted me and said my item had found, they had handed item to Kolkata airport manager. So they suggested me to contact airport manager and claim my item. I tried calling airport manager contact number which is giving on internet but it says incorrect number how can i contact airport manager. Please help to contact with manager. Visa free county jnb airport problem Bangladeshi passpor? SCAM AVIASTAR AIRLINE NOT GIVE ME MONEY BACK FOR REFUND. ALWAYS RUN AWAY. PISS ME OFF. where can I see thr manual and parts catalog of this aircraft? I recently flew Aberdeen to Bristol and return flight. I noticed on my E-Ticket number 480-2400344577 I WAS CHARGED £37 International surcharge. I also paid for £20 for a seat reservation which was not available on the return flight Regards Mr Douglas Gauld. Horrible personell! They screem at you and insult you, but only in Italian!! If you don't know the language it's ok! Unbelievable! Hi Trip.com, Im writing you this email because im very disappointed with your services. This morning I was supposed to take my flight from Sapporo to Tokyo (tickets in attachment) but I could not. When I arrived at the airport (around 8:30 am) I was unable to find the checkin-counter because the airline name is not written on the ticket then I asked to an airport staff. The guy told me to go to the ANA airline queue to check-in. After 20 minutes of queue (I was in the middle of the queue) I have asked again to an other airport staff if it was really the good queue and the woman said “yes just wait here”. After 20 minutes more I finally arrived at the counter and the staff told me that I was in the wrong queue and to check-in I had to go to Japan spring airline. Then I went to the Japan spring airline counter but it was closed (because they close 35minutes before the departure and it was 9:15 am) then I asked to many people and even to a manager from this airline: “what can I do? What is the solution?” They all told me that I had to buy an other ticket (around 600 euros) but I could not. Now because of the lack of informations I have missed my flight and a very important meeting in Tokyo and I have spent almost 250 euros for nothing (flight ticket + transportations) and ill loose more because I have missed my meeting. So now I am asking you if at least I can get a compensation for all these shits ? Thank you for your understanding. Caribbean airline flight attendants an their agents need to learn good customer service because their attitude is not nice. I bought a ticket online a few hours before the flight and had no option to sel ect a seat. I got a seat in carribbean plus at the airport at jfk when I checked in, I paid a paid $85.00 US shy of $1000.00 for my ticket. There were was a blanket on the seat middle seat an the row I sat was empty an so were seats behind me. However I heard someone asked one flight attendant if they could sit else where, I heard her reply that sir people paid a lot for those seats ( the seats which was empty). The passenger then asked someone else an not sure what he was told by a male person. Upon waking up during the flight there a passenger sitting in the aisle seat in the same row as me. There were another passenger who took up all three seats sleeping behind me. When I called to confirm my flight fr om Trinidad I was asked to get a seat number since I didn't get one to go back to ny. I asked for window an I got a seat which turn out to be the 2nd row away fr om the toilet. I asked why not any other seat, I was told that I can get seat 14 in the aisle, when I asked why is that, I told her how much I paid and this is what I am getting. The agent on the the phone was mam all the seats are book by other passengers, if you wan to upgrade you have to pay $100 US. I could not believe that I paid so much, got a carribean plus seat going to Trinidad and go a window seat two rows away fr om the toilet. Which when I asked for a blanket I was told in not a nice manner they sell it. She did not wait for me to ask what's the cost or cared to tell me she stepped in the back. I waited till I saw her again an asked how much then was told $5.00 US or $35.00 tt. I asked if the take cash or card she said cash. I paid $35.00tt for the blanket which I got to use free while I going to Trinidad, the flight attendant was handing the money to other attentand and she said I don't want to touch that. I saw her afterward handing out blanket to other passengers and but I never saw her collected any money. Also while waking going to my seat, they were caribbean plus seats empty and there were a couple row and empty seats and window seat after caribbean plus. Why was my money only good from jfk to Trinidad but not good going from Trinidad to jfk and I bought a two way ticket. My locked for my suitcase wasn't working last minute and I asked the flight agent at jfk if he can put a zip tie to lock my suitcase which he did, but in Trinidad when I asked the female agent to put one she rudely said no she don't have non, then asked what. I repeated myself and again she rudely said no I have non looked at me as if what I am asking. The pilot did not even turn off the lights for passenger to take a nap either .And due to that I got no sleep on my night flight my seat was being knocked and kicked at times by the kid behind me, which everyone could of gotten a little sleep if the pilot of flight attendant turn off the lights after a few hours like they normally do. Also just to mention it does not matter wh ere you sit in economy it doesn't mean that they some passenger paid more to be seated there. My seat was taken twice in once flight, I was told the reason was it was assigned to old people, that wh ere the words of the agent on the phone when I called to confirm my flight. Which there were using the agent words ''old people'' assigned to the row wh ere I was 1st suppose to sit. Then my 2nd assigned seat was taken by the travel agent whom sold me the ticket for that flight, whom paid much less under $400.00 US for two way, and I paid a couple hundred more for my ticket, two way also. She was laughing about how much she paid when I bought my ticket fr om here, and she even was laughing when she took my seat which was was behind her seat had she sat there. So I had to sit in her seat. Caribbean airline needs to be professional, friendly with good customer service and leave on time and don't have passengers waiting so longer every time just for the flight to go to the destination. Caribbean airline needs to stop lying to customers whom spend their money to fly with them. I forgot my watch during the first security check. It is silver. The brand is storm, I think. And it has a very unique shape. The glass of the watch is a little dome. The clock-face is blue. American Airlines decided not to honor my reservation by cancelling a nearly full flight weeks in advance as part of a "schedule change". Not only that, they refused to compensate me in any way for the inconvenience that they caused me. Received an email today from Thomas Cook Airlines explaining I had cancelled my return flights from Manchester to Los Angeles in May 2019. I haven't and their complaints system online isn't working. I phoned Customer Relations and was told they have cancelled the flights I was booked on and have refunded my money. I haven't received any money and was not offered any alternative flights. Apparently MT2622 Man to LAX 4th May 2019 and MT2623 LAX to Man 18th May 2019 have been cancelled. Dear Sir or Madam I hope you are well. I flew from Johannesburg to Lusaka airport a few weeks ago. I think I may have dropped my reading glasses at the airport. The glasses are made by Tag Heuer and the frames are red in colour. My telephone number is +27 83 280 4095 and my email address is kevinderennaidoo@gmail.com I would really appreciate your help. Have a good day. Hi! I am in santiago(chili) since january and I want to go back haiti so I want to know LAW will have access to flight to haiti. An 225 miriya is better than this one. I am writing a business plan to look for funding and start a passenger air plan business in Botswana. I would like to be thoroughly advised on this venture , more especially on the type of air craft I should start with. Easy to maintain type of air craft is something i will opt for. They cancelled the route, so my flight has been cancelled without proposing any solution. I have been asking to be refounded, until now without succeding. Not professional. NOT CORRECT.